What seems to be the best dosage of melatonin for sleep? Is there an optimum dose of melatonin for insomnia? There is a lot of confusion about the best dosage of melatonin among consumers and healthcare professionals alike. It is considered a dietary supplement and the correct dosage isn’t studied as much a prescription medications. However, there is some good data out there about the most effective dose – and, I was surprised. 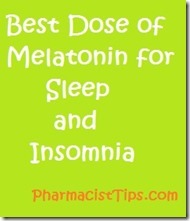 Most pharmacies where I work, you can find melatonin available usually in 1mg, 3mg, 5mg and 10mg. Those doses appear to be too high! 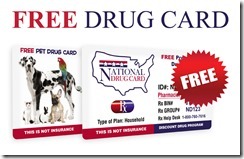 The optimal dose RJ Wurtman MD has found is 300mcg to 1mg. To put that in perspective 300mcg is about 1/3 of a milligram. That means 10mg is 30 times too much. Melatonin has not been found to be toxic, so no one is being injured by the high dose. The high dose seems to desensitize the body to melatonin’s effects. I’ve heard this from customers before. It worked great at first, but then the effects seemed to wane. All that melatonin in circulation seems to cause the receptors in the body to no longer react properly. More is certainly not better. These studies then suggest that optimal dose is 300mcg but some may need an extended release 300mcg form to stay asleep all night. And, it is probably best to take it 1 to 2 hours before bed. If you feel need to take melatonin every night, be sure to talk to your doctor. Daily use may reduce the amount of melatonin your body naturally produces. Difficulty sleeping and reduced quality of sleep can have serious health consequences, you need to be properly evaluated. As with all dietary supplements, it is always a good idea to discuss the use of one with a licensed healthcare professional. It is wise to discuss the use of all vitamins and dietary supplements with your doctor. Again, I would encourage you to not use this long term without the approval of your healthcare provider.